View this unprecedented, unique collection of information documenting the contributions made by Alpha Delta Pi to women’s history. 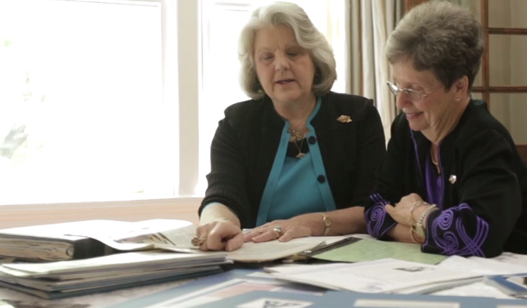 Alpha Delta Pi has long cherished its history as the first secret society for college women. Our mission, “Established in 1851, Alpha Delta Pi is committed to sisterhood, values and ethics, high academic standards and social responsibility,” is documented through the years in The Adelphean of Alpha Delta Pi magazine and through our written history. This history is now made available for every collegian and alumnae member to access through the newly unveiled digital archives, funded by a grant from the Alpha Delta Pi Foundation.